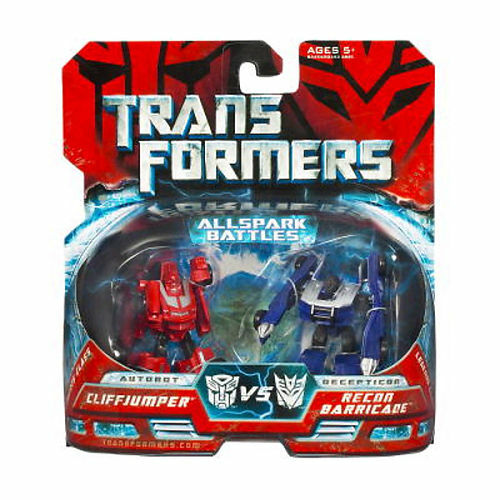 During the long war over the power of the AllSpark, CLIFFJUMPER has always been the one guy among the AUTOBOTS who can be counted on to provoke someone as calculating as BARRICADE into making a bad move. 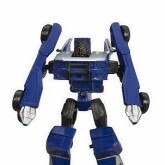 This is a robot so dedicated to beating the DECEPTICONS that he never hesitates to get right up in an enemy’s grill. 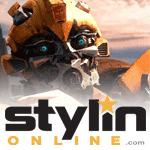 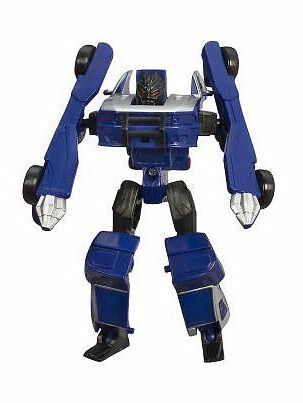 BARRICADE is especially frustrated by the behavior of the smaller AUTOBOT, because while he’s pretty sure he can take CLIFFJUMPER in a fight, he can never think of a good comeback to any of the insults the AUTOBOT hurls at him. 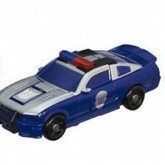 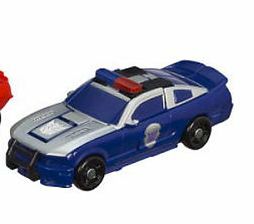 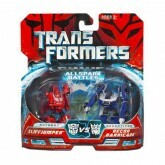 Legends-class Recon Barricade was sold in a two-pack with Cliffjumper.